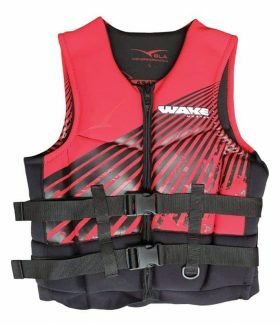 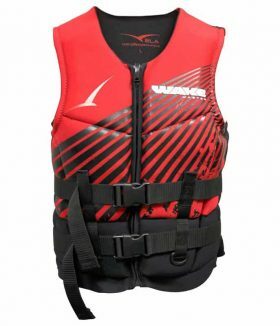 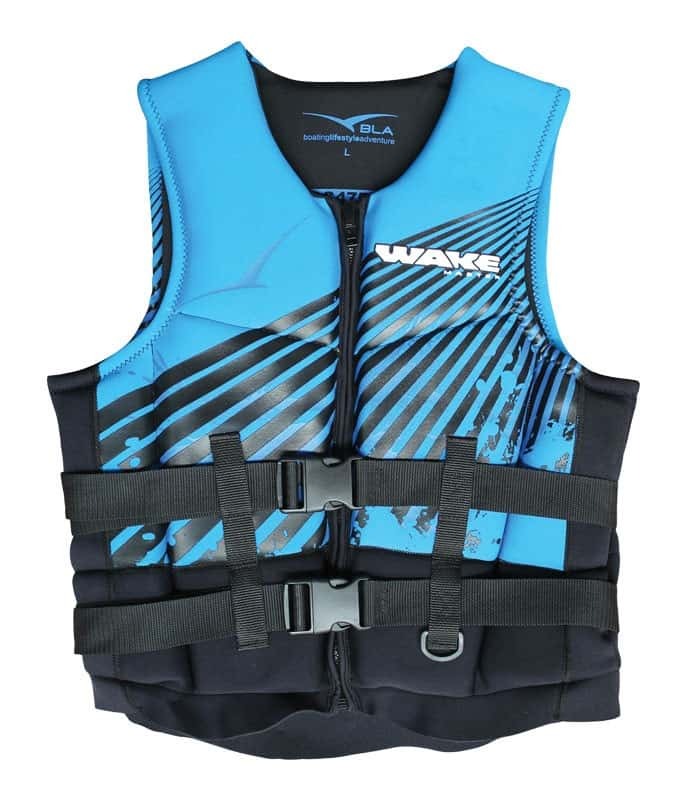 Neoprene covered foam Level 50 buoyancy vest approved to AS2260 Designed specifically for active water sports such as skiing knee boarding wake boarding and use with towables. 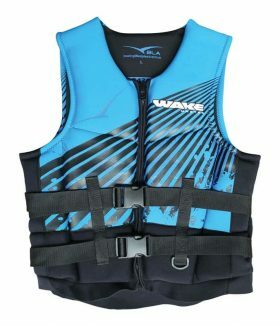 Features include soft flexible foam two heavy duty webbing straps with adjustable side release buckles and gusseted side panels to produce a flexible and secure fit. 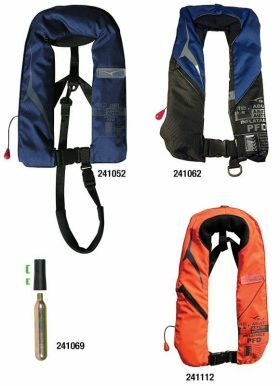 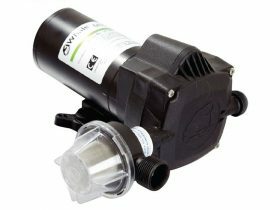 A 25mm D ring lanyard attachment point is also included excl Junior.